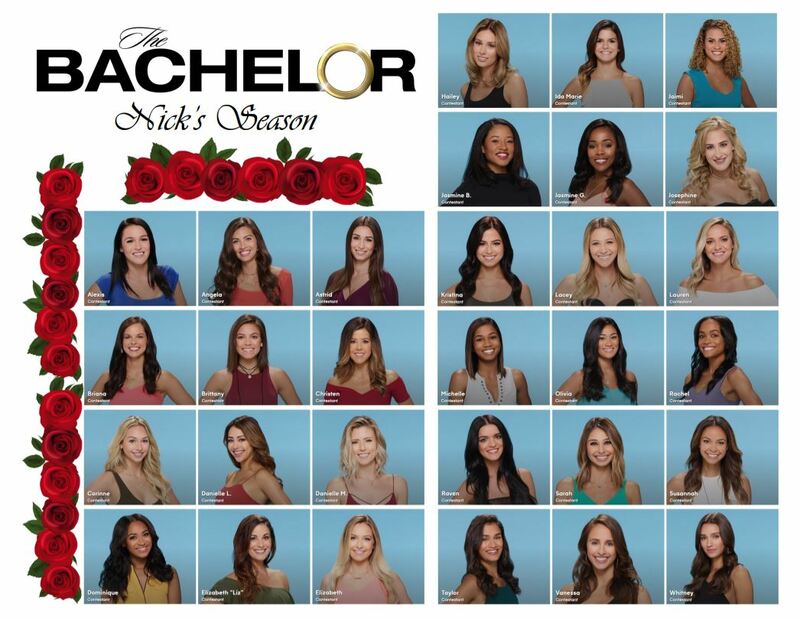 The Bachelor is coming back to televisions in January, bringing with it the requisite FOUR Laurens. I don’t even know that many Laurens in real life! 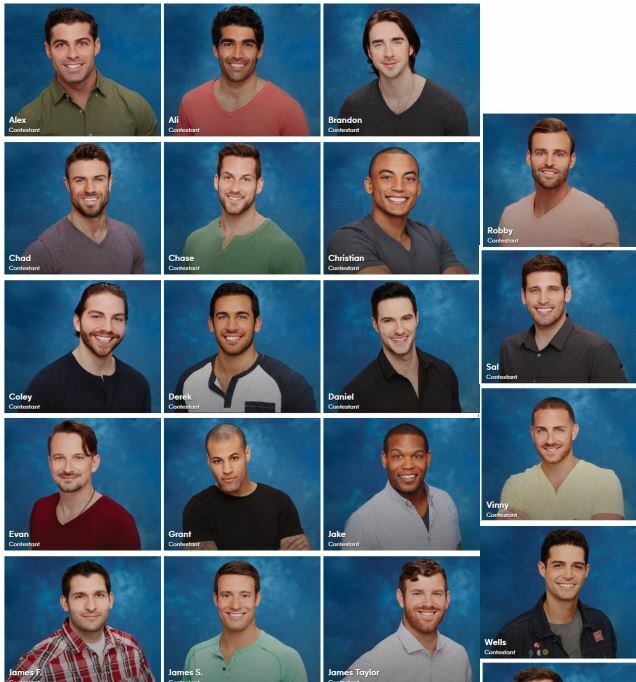 For the Bachelor Contestants Cheat Sheet pdfs in 8.5×11 and 11×17, skip to the end. To check out the contestant bios yourself, head to ABC here. For further insights into the contestants, compliments of yours truly, keep reading! 12 of the 29 contestants have tattoos. I thought it was a lot more going through initially, but turns out I just ignore people who say “no” to that question because there’s no interesting tidbits in their answer. Unlike most years, there was a pretty decent diversity to the questions, with very little repetition in favorite movies or people you admire. Naturally, Beyonce and Meryl Streep showed up more than once, but it wasn’t like the one year where six women mentioned Olivia Pope. Caroline wins for having the most fun profile, in my opinion. On paper, she’s the one I’d most want to be friends with, as she seems to have a slightly self deprecating and light hearted sense of humor. She’s named a plant and would have dinner with Betty White at a hibachi grill where they’d pretend it’s Betty’s birthday. Jacqueline has the most stunning photo. She also is the token intellectual this year, which means she won’t go very far. I’m still sad for Anthony, my Fulbright scholar comrade from Rachel’s season. 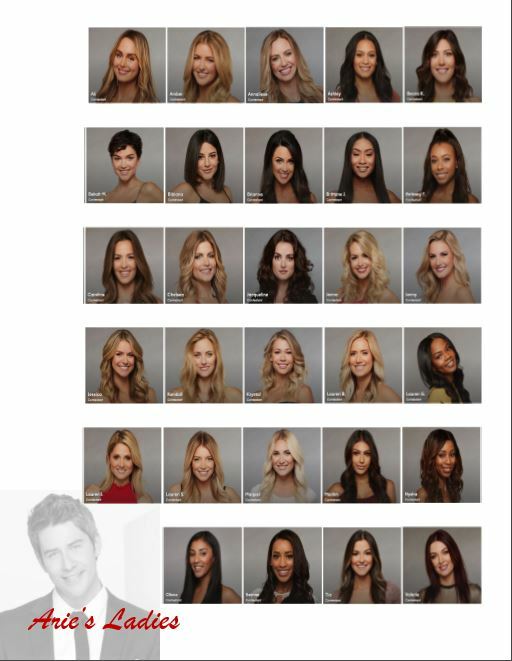 Overall, I’m not drawn to any of the contestants except Caroline and figuring out the story with ageless Bekah. To be fair, though, I haven’t organized my Bachelor Bracket/Fantasy Team yet. So by the end of December, I should have more passionate thoughts about who should make it past the first night. I do always avoid spoilers because I like to play the game based solely on what’s provided by ABC. 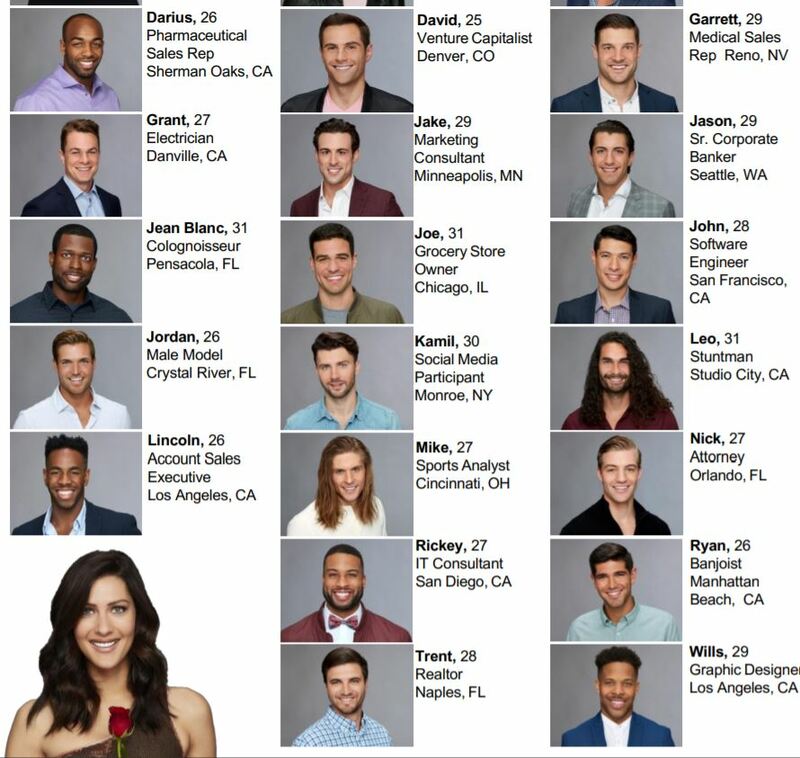 As always, I created the Bachelor Contestant Cheat Sheet in 8.5×11 for standard paper, this time with extra room for note taking, and on an 11×17 page. Bachelorette Bracket Cheat Sheet – JoJo’s Season!